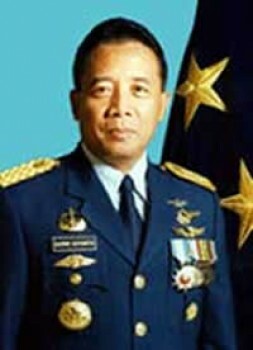 "Do not only help us with our plea for clemency, but rather help your own children and grandchildren who might need friends like us when they look for assistance or are in need, General Djoko Suyanto!" We are currently working on a larger tolerance project to improve relations between Muslims and Christian and have recently released a paper on Christian peace policy, reconciliation and tolerance which I have included. Many of our network—including myself supporting a new orphanage for mostly Muslim orphans in Ace—have supported your country with sympathy and many millions in "Christian dollars" in the days of your greatest need just after the tsunami of 2004. We are shocked to hear that both of you support the execution next week of three Catholics, Fabianus Tibo, Dominggus da Silva and Marinus Riwu. This is a slap in the face to all those who have helped Indonesia so unselfishly and who are struggling against the "clash of civilizations" and for increased cooperation between Christians and Muslims. We have just celebrated the visit of His Holiness Pope Benedict XVI along with many 100,000s Christians during his visit to Bavaria. In Munich last Sunday he called for tolerance. We are all the more disappointed that his appeals on behalf of the three Christians who have been sentenced to death have landed on deaf ears. We are well aware that politics, in all nations of the world, is sometimes a cynical and dirty business. However, there are moments where wisdom, a sense of proportion, and humanity reveal themselves in all their strength and are victorious over power politics. We understand when some propagandists of terrorist attacks received milder treatment. What we do not understand is why this treatment is only accorded Muslims and not simple Christians. We also do not understand why, with the executions of the three Catholics, fuel is being added to the fires of the radical Islamists rather than promoting tolerance. We in Germany know all too well where discrimination against minorities can lead to in the end, even though in the beginning everything ostensibly begins on a legal basis. We are friends and helpers of your country. Do not only help us with our plea for clemency, but rather help your own children and grandchildren who might need friends like us when they look for assistance or are in need. Help your great nation along the path of tolerance and reconciliation! Stop the mutual tsunami of hatred and revenge! You, in particular, as honorable President of the Republic of Indonesia and as Chief of Staff of the Armed Forces carry an immense responsibility, please help us in this historic undertaking for our children "networking a safer world!"